My name is Luis Castañeda, I Live in Mexico City and I think I’ll die here. I started taking photos with an Kodak Instamatic camera at the age of 12, and it all started form there. 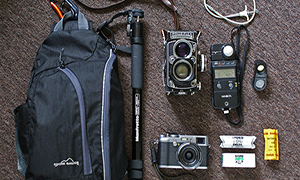 Now I’m 42 years old and I used to work as a freelance photographer in the late 90’s with Mamiya RB67 as my main system, with a lot of lenses, Pola backs, etc. 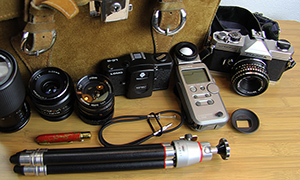 I still have that equipment in perfect conditions, I did a lot of editorial work and corporate photography. Suddenly, destiny took me away from professional photography, but never stopped doing photo, is my passion and hopefully one day I’ll return to the professional path. 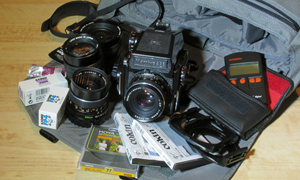 When I went to university and started taking “real” photo lessons, my camera was a Fujica ST705, it was my everyday tool for almost 5 years, and then when money started to come in I upgraded to Minolta, and after that the Mamiya equipment. Years after that I used Sony Alpha cameras, I already had the minolta system optics so it was a decision of staying with all my lenses instead of getting some other brands and new equipment. That equipment was fine, but one day, two years ago, I was reading about a new camera in the internet, and suddenly there it was… the Fuji x100, I immediately fell in love with it, it had an amazing resemblance with my old Fujica ST705, marketing gurus and japans are colluded; it’s such a pleasure to shoot with these amazing camera. The story behind the Rolleiflex 2.8e is a little different, it was a gift from my grandpa about 25 years ago, back then, I thought it was an old, useless camera, so I dumped it somewhere, luckily well packed, to finally make it’s debut last year when I started looking for it, almost 24 years later, and working like the first day; now I think it’s one of the best TLR cameras ever, this model in particular has the 2.8 advantage that creates a great bokeh that I love. I’m sure grandpa is smiling at me right now. Now photography is a passionate hobby, I like to travel a lot with my wife, and I try to carry the less equipment I can, I like to think of photography as less is more. -Compact Manfrotto monopod with medium head ball. -Ilford HP5 plus film, Ilford Delta 100, and Ektar 100. -Some other stuff inside the bag like extra battery, charger, lens cloth, pens, protein bar and a plastic bag just in case of unexpected rain. 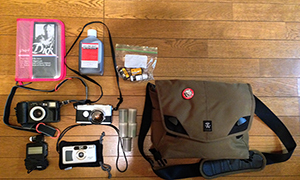 Thanks for sharing your bag and your story Luis. Very interesting to hear your progression. 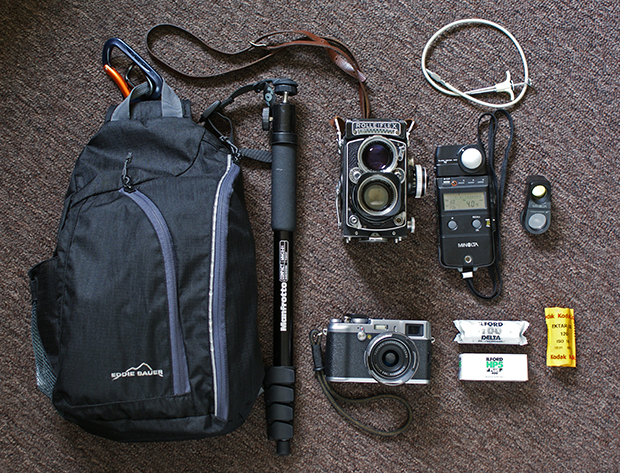 Great to see a bag that makes perfect sense – some nice images on flickr too, thanks. Thanks for your comment Billybones! 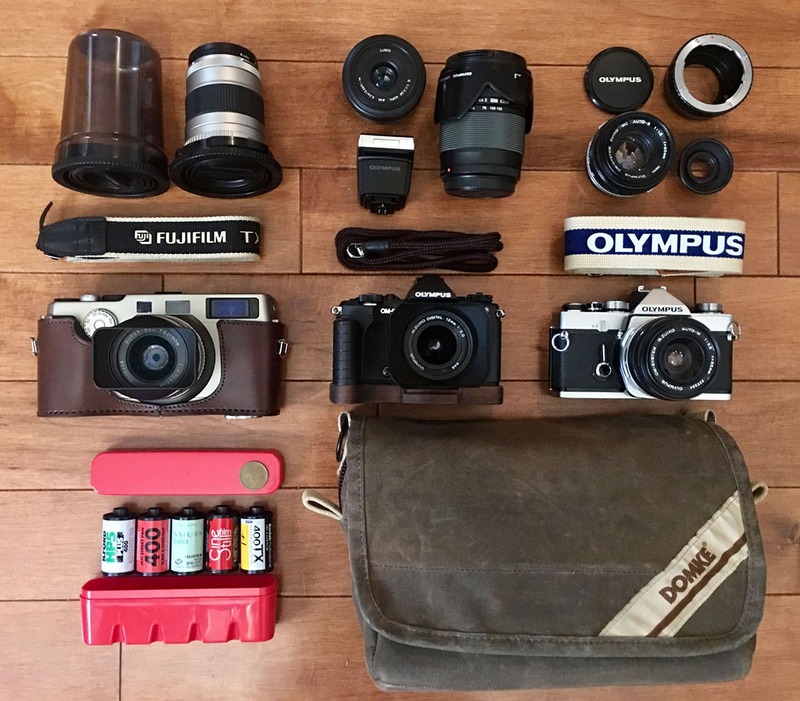 Some really good pictures on Flikr, a great story about the Rollei being passed down in the family – do you think you’ll pass the X100 to your grand kids??? Hey Paul, thanks for your comment, about the X100 it will be a great idea, hopefully it will last till then, and maybe the FujicaST705, (I forgot to mention, that camera was from my Dad) will make it too.